So, we have created our Connect-OnlinePizza function and now have access to parts of the site that are only available when logged in. But how? Remember the Invoke-WebRequest-cmdlet in the last post? We specified a session variable in the Global scope, and that variable contains cookies and data to keep our session with the site consistent over multiple webrequests, and that’s what we’ll use in our next function, Get-MyOnlinePizzaAccountInfo. First of all, we need to find what page holds the information we want. In this case, the page containing the account information was located at http://onlinepizza.se/?view=andraKonto (it requires you to be logged in). Make sure you ran the “Connect-OnlinePizza”-function first, that way the “$OnlinePizzaSession”-variable will be available and make it possible for us to reach this page and see the details of our account. If this worked, we should start looking in the “dump.htm”-file for where the name is, use Select-String or just open the file in notepad and search for it. I’m by no means an expert in string manipulation or regex, so there is probably a better way of doing this, but I usually use the Split-operator to get the part I want. In this case we need to split the string after value=” and before “/> (or remove it). We also need to fetch this particular line from the sites html code. 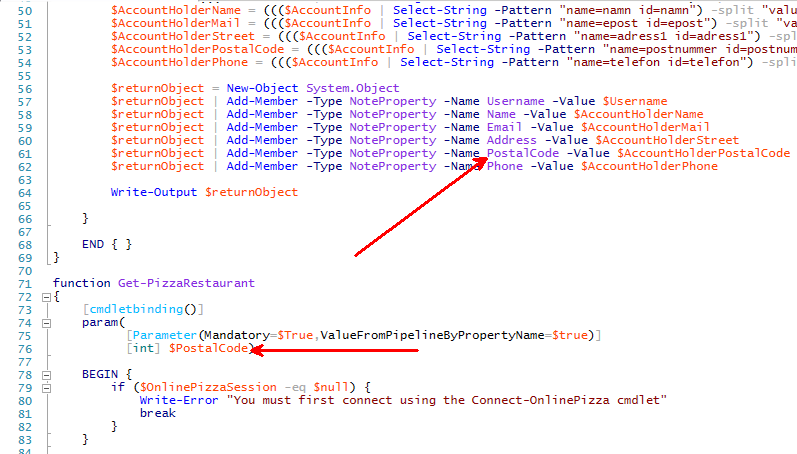 $AccountInfo | Select-String -Pattern "name=namn id=namn"
PS> ($AccountInfo | Select-String -Pattern "name=namn id=namn") -split "value=`""
Write-Error "You must first connect using the Connect-OnlinePizza cmdlet"
Take a look at line 7 through 10, here we check if there is a variable called "$OnlinePizzaSession" available, if not, the user running this function probably didn't run the "Connect-OnlinePizza"-function, and this function won't work. Therefor, we write an error and exit the function. This is a pretty good method to ensure that the functions are used correctly. So, finally time for our last function! Most parts of this function will be created more or less in the exact same way as the last one, so I'll just go through the differences. One way of doing that is to add pipeline support, but how? Well, this function will return a list of restaurants based on our location, and the location is based on our postal code (zip code). If you check our last function we actually return a property value called "PostalCode" which would be perfect for pipelining, and it's really easy to do! Also, as you can see, we are declaring the parameter data type as an int, this way, no one will give as a postal code with spaces in it. If we want to, we could also validate that it really is a postal code, but again, this guide is not as much about writing advanced functions in general but has more to do with web scraping, so we'll just let it be. A few more comments might be needed here, if you look at line 19, we use the opposite of split, the join-operator. Why? Well, when looking at the html-code of the site the information is spanning over multiple lines, by joining on linefeeds (`n = linefeed) we can get all the information for each restaurant as "one part" instead of multiple lines, which helps a lot! Also, at line 32 and 33, we call a method called Trim(), this method removes all leading and trailing white-space characters from the string we're working on. Finally, at line 45 we remove all the variables to prevent them from being "reused" on the next iteration of the loop if the next restaurants data is different or missing. Clear-Variable would work perfectly here aswell. We have now created functions to connect to a site, utilize functions that are only available when logged in and we have also made the functions work together in a nice way. The code for all of these functions have been uploaded here. I hope you enjoyed this little guide, and if you have any questions, feel free to ask them in the comments or drop me an e-mail! This entry was posted in PowerShell, Walkthrough, web scraping and tagged Invoke-WebRequest, Pizza, web scrape, webscraping on 2014-11-24 by Anders. Since I’ve gotten some positive feedback regarding the web scrape related posts on this blog, I thought I should write a guide on how to build PowerShell functions that interacts with a website. To make it a bit more fun, I thought it should be about ordering pizza! 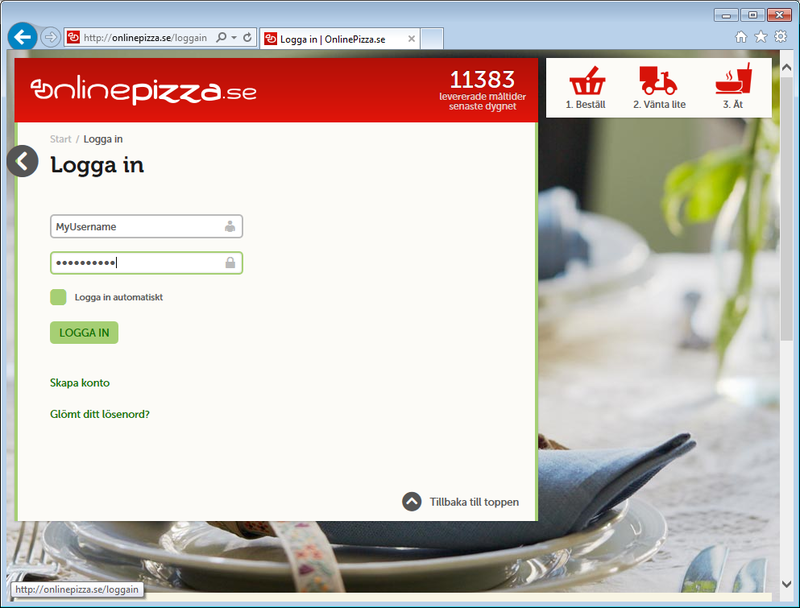 The site in question is a Swedish site called OnlinePizza. The first thing we need to do is figuring out how to log in. The easiest way to do this is to open a web browser with some developer features, since I’ve used Chrome before I thought I could use Internet Explorer in this example. After you’ve browsed to that page and filled in your username/password, you press F12 (Ctrl+Shift+i if you’re using Chrome) and select the “Network”-tab and press the “Start capturing”-button. This can be done in different ways, you could either basically download the site, try to manipulate the fields and then post the form, or create a hashtable with the required keys (username, password and action) and send that. The later is quickest since it only needs one request, so that’s what we’ll do here (this might not always work though). This leaves you two options as far as I know, you either skip the “Invoke-WebRequest”-cmdlet altogether and use the .Net WebClient Class instead, or you can fix this error by sending the output of the cmdlet to a file instead of the pipeline. We’ll do the latter here and save the .Net-method for another post. Note: As stated above, this is mostly to give you and idea on how to create a “web scraping function” in PowerShell so we’ll do a few shortcuts. If this was a to become a serious module that would later be used in production, make sure the output-file is written to a place where the user will have write access and that it has a name that won’t damage (overwrite) anything. Uri – This specifies where to send the request. This should be the URL you saw in the screenshot of the “Request body” above, this can differ from the actual loginpage depending on the site. Method – This should match the method you saw in the loginrequest, in this case it was a “Post”-request. Body – This is what the request will actually contain, in our case the hashtable we created. SessionVariable – The variable we specify here (no leading $!) will contain cookies and other data needed to keep the session consistent through the rest of the commands we will run (this will for example keep us logged in). I’ve specified it in the “Global” scope since we want to use it together with other functions later on, and to make that work, it can’t be in the functions scope (since that will be gone before the next function will execute). OutFile – Our workaround. Specify a file where the output from the command (the html of the site) should be saved. Alright, so the request is sent and we should now be logged in, you can verify this by looking in the “dump.htm”-file, it will usually contain a “You have been logged in!”-message of some sort. In this case that message is in Swedish though. So, we have figured out how to log in, we now need to wrap a function around this, which will be our next step in this process! To create this function we need to ask for a parameter, the only one we need in this case is the credential, which should be of the type PSCredential. As you can see, we also add the almost magical “cmdletbinding”-keyword aswell to get all the wonderful features that gives us. We also state the Credential-parameter as mandatory, and we define its data type, which will make the function ask for the credential in the same way as “Get-Credential” works if the user didn’t specify any. And we should be logged in. When building something like this we should make sure though. This can easily be done by looking for that “You have been logged in!”-text in the dump.htm-file, for example with the “Select-String”-cmdlet. Write-Verbose "You are now logged in!" That’s it for this post. In the next one, we’ll create the function for fetching our account information and one for getting a list of what restaurants are available in our location. This entry was posted in PowerShell, Walkthrough, web scraping and tagged Invoke-WebRequest, Pizza, web scrape, webscraping on 2014-11-20 by Anders. Building an advanced function that can consume information on the web is pretty powerfull and I use it for all kinds of things. 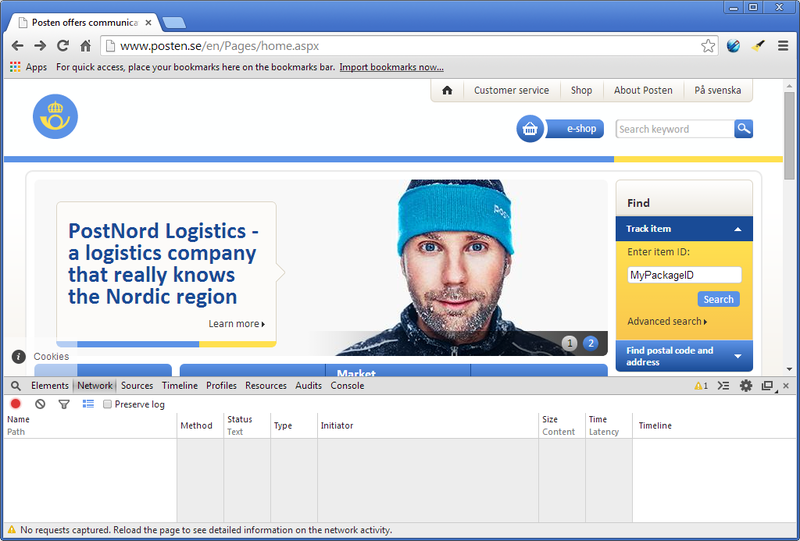 In this post I will try to guide you through the process on how to build one for more or less any service, but the example will be the Swedish postal service. I usually start with a web browser that has some developer features, for example Google Chrome. Go to the website and press Ctrl+Shift+i, select the “network tab” and enter whatever information you need to send to the service, in this case the ID of the package I want to trace. 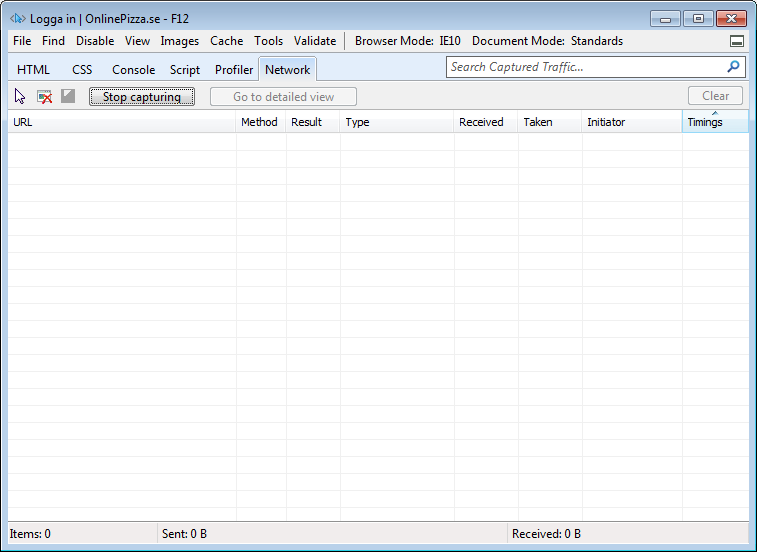 Press the submit button and look at the beginning of the network trace. You usually find a GET or POST request there, in this case it is a GET-request. 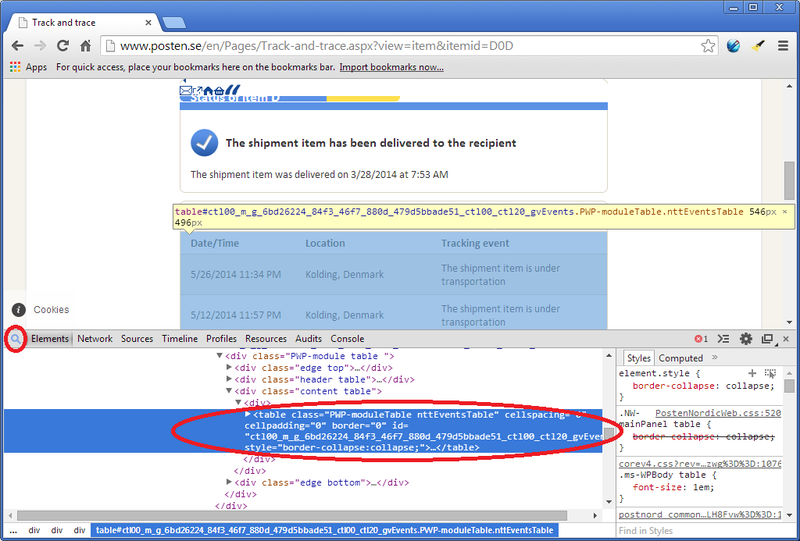 You can right click that row and select “Copy link address”, which in this case is “http://www.posten.se/en/Pages/Track-and-trace.aspx?search=MyPackageID”. 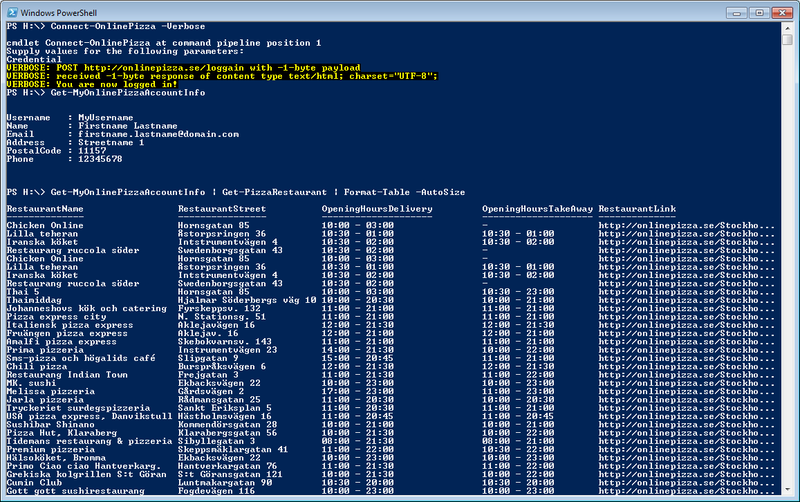 Now open whatever PowerShell script environment you prefer, for example the PowerShell ISE. Start with sending the same request from PowerShell, that can be done by using Invoke-WebRequest (if you are using PowerShell v3 or higher). 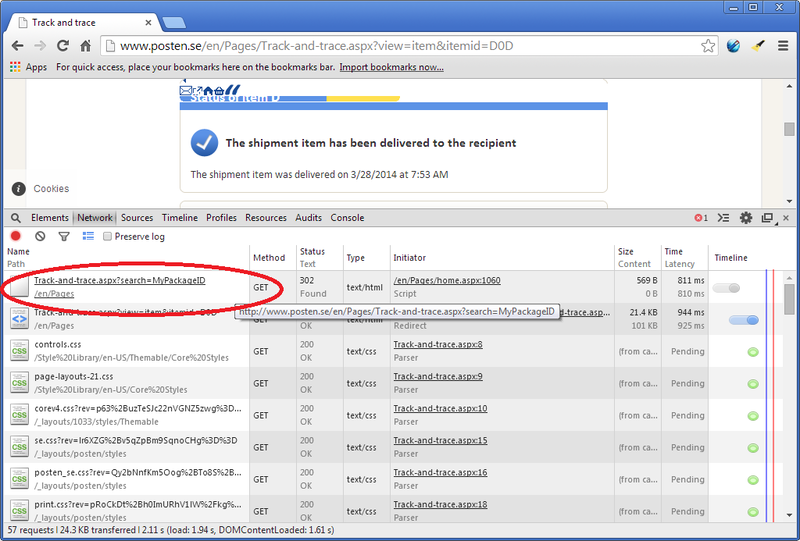 Start with putting a variable where “MyPackageId” is. The “UseBasicParsing” switch is not mandatory here, but if you don’t need the html returned to be parsed into different objects it is a bit quicker. We now need to parse the html-code stored in the “Content”-property to get what we want. This can be a bit time consuming, but with a little help from Chrome it gets easier. Press the magnifier button and hover the mouse over parts of the site or parts of the HTML-code (if you select the “Elements-tab”) and you will soon find what part of the HTML code you need. We can now loop through these items, parse them and build an object out of them. Each one of these items has three columns; a date, a location and a comment/tracking event. The columns are enclosed in the “TD”-tags so we can split them up at those. We now have “objectified” a website and made it useful in PowerShell! When we have come this far it’s a good idea to create an advanced function around it to make it really useful. There are many good posts explaining how that is done, for example this one by Don Jones, so please refer to that if you need some help on getting started. I have made a quick example of an advanced function out of the code written in this post which is available here. 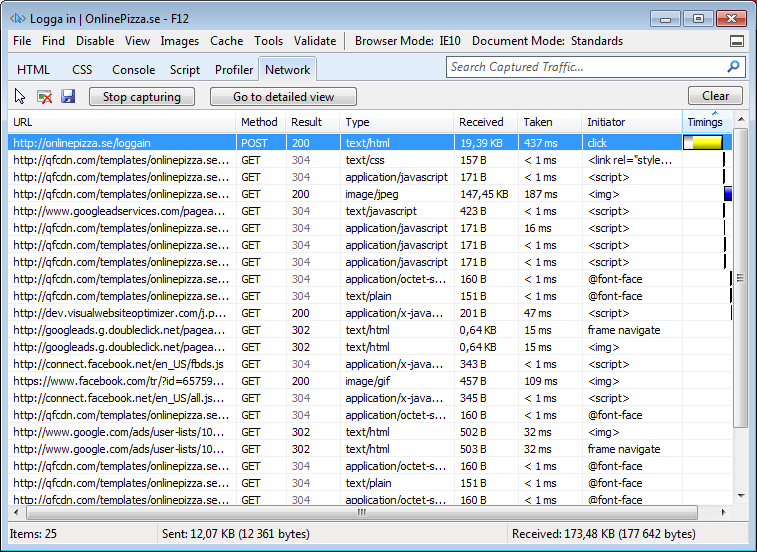 And if you want to learn more, checkout my webscrape guide in this post! 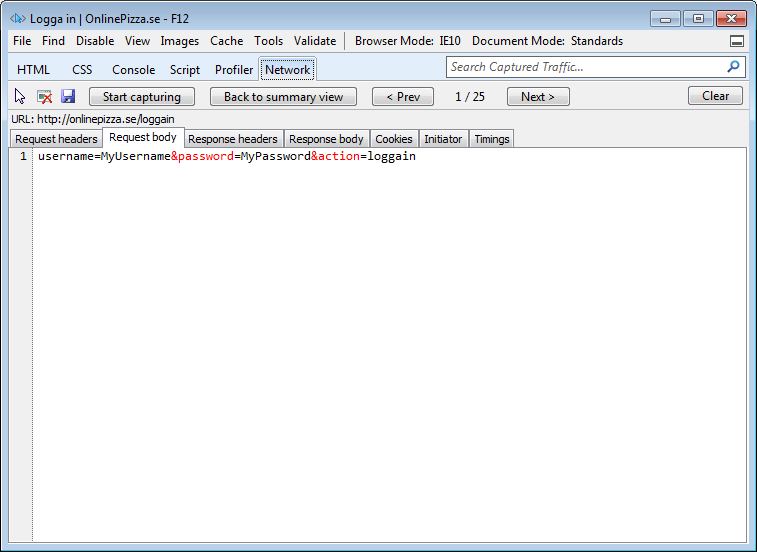 This entry was posted in API, PowerShell, Walkthrough, web scraping and tagged Invoke-WebRequest, web scrape, Web scraping on 2014-06-10 by Anders. 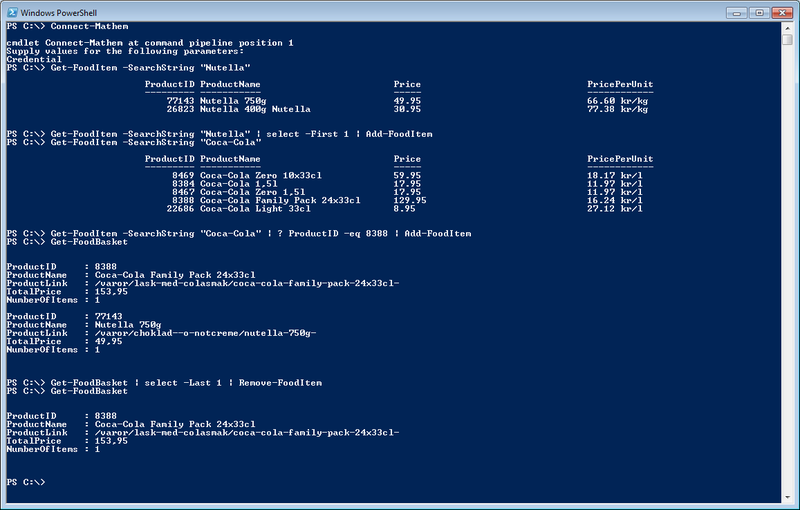 Yes, really, buying groceries can also be done with PowerShell! How? Well, you need to find someone who sells groceries through a website, and can deliver them to your house. The rest is just webrequests! Let’s say the weather-cmdlet posted earlier gives you reports about rain, wind and cold weather for the coming week, how about adding some popcorn to your basket and other things you want for a nice movie-night at home? Your favorite TV show is ending next week, add those popcorns again! If the weather looks nice… order some things needed for a picnic? Connect it to your voice control made with powershell and ask it to, for example, “add milk” when you take the last one from the fridge. Alright… Nothing lifechanging… But it still shows how versatile PowerShell can be, which is sort of my main point with all this! Since it will only be useful for Swedish users who live in cities where this service is available, the rest of you can just look at it as sample code if you want to do something similar. This entry was posted in API, Home Automation, PowerShell, web scraping and tagged Groceries, Invoke-RestMethod, Invoke-WebRequest on 2014-04-01 by Anders.